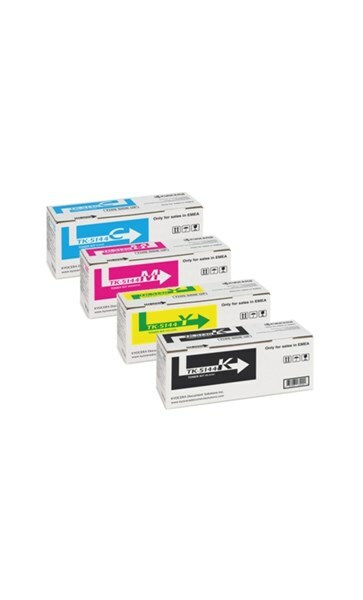 Kyocera Yellow Toner - approx 5,000 pages @ 5% coverage. Note: All 4 TK5144 toners are pictured. This price is for one toner only.